Tony Middleton………One of the most versatile performers in entertainment today, has been described as having “a rare ability” and a “vocal talent unsurpassed”. Tony’s career is an interesting and diversified one, which spans many years of accomplishments. Although as a teenager, he was working towards becoming a “golden gloves” boxer, he changed course and became the lead singer and songwriter of a group called “The Willows”. They are most known for the crossover song, he wrote, “Church Bells May Ring”. They did “My Dear Dearest Darling”, “Dolores”, “White Cliffs of Dover” and many more. Tony Middleton and the Willows have appeared regularly at the Westbury Music Fair, American Music Theatre, PA., and at the Tarrytown Music Hall, in addition to numerous other theaters across the country and internationally. Tony and the Willows have appeared on three PBS specials shows on Doo Wop and “Church Bells May Ring” is considered one of the 100 all-time great songs of that genre. 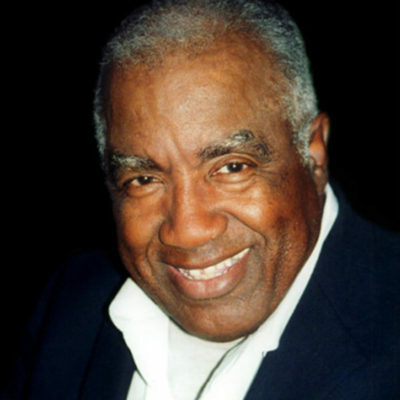 He has performed in several Broadway musicals, such as the lead in “Cabin in the Sky” and principle roles in “Purlie” and “Porgy and Bess”. He later lived and performed in Paris and Europe in the jazz circuit for a number of years. In Europe, Tony was the understudy for Sammy Davis in “Free and Easy” written by Harold Arlin and Johnny Mercer. He also performed in concert at the City Center and Wolftrap with Alvin Ailey Dancers singing the “Mary Lou Williams’s Mass”, and buy viagra soft online was one of the headliners at Lincoln Center for the 55th Birthday Tribute to the late Charlie Parker. In recent years Tony has toured Europe and appeared at the “6 t’s Northern Soul Weekender” to audiences consisting of a large range of age differences, belting out songs from the 60’s and 70’s to more recent tunes. His music has been sought after by collectors both here and in Europe as are his CDs “Paris Blues” and “Swingin' for Hamp”. In the last few years, Tony has been singing in various rooms in NY, such as, Notaro’s, Caterina’s, the Black Duck, O'Neal's RedBar, the Fat Cat and at the St. Regis Hotel, NY. Tony had also been performing at Smalls in NYC for a 4-month run. Recently, Tony had done several shows at the Blue Note and Kitano Jazz with his Trio, along with Big Band Tuesdays at the Iridium. Tony sings regularly, as he has the last 3 years, at Destino on East 50th St., NY with Jesse Elder, his pianist, who is a 4-time ASCAP winner of original music. In addition, Tony also has a weekly Sunday Brunch at Kitano's Garden Cafe which started early June 2010.